Dimensions are in inches (millimeters) unless otherwise noted. Engine Assembly Plant GEMA Engine Plant, Dundee, Mich.
Connecticut, Pennsylvania, Rhode Island, New Jersey, Oregon and Washington. (b) All dimensions measured at curb weight with standard tires. Here is an overview of how the dual dry clutch transmission works and what it does for the driving experience. 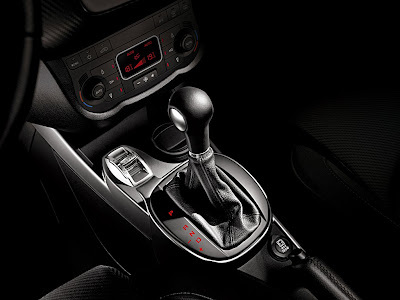 When the 2012 Fiat 500 Abarth was unveiled last November, conspicuously absent was any mention of an automatic type gearbox. However, buried deep inside Fiat are plans to produce dual dry clutch (DDC) transmissions suitable for A and B segment cars. We've explored these plans in the past (go here), but now that the new 2013 Dodge Dart will be available with the Alfa TCT (Twin Clutch Transmission), let's revisit the story. In Europe, the Alfa TCT dual dry clutch transmission (C635 TCT) is considered the class benchmark for its ratio between performance, fuel consumption and emissions. 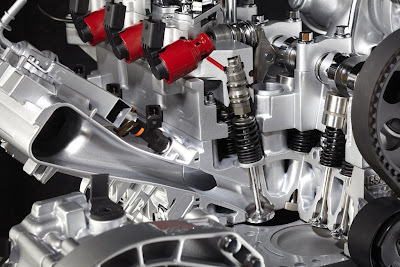 This cutting edge transmission is spec'd out for cars larger than the Fiat 500, however, there are two smaller DDC transmissions developed by Fiat Powertrain Technologies that could fit the Fiat 500, as well as other A and B segment cars. The first is a seven speed DDC transmission with a torque capacity of up to 140lbs.ft. (190Nm). This is suitable for Fiat 500 models with TwinAir, 1.2 liter, 1.4 liter and 1.3 liter MultiJet engines, plus the NAFTA Fiat 500 if Fiat so desires (the NAFTA 500 is available with an Aisin manufactured, conventional 6 speed, torque converter equipped auto trans). The other DDC transmission is called the C625 TCT. This unit has a much higher torque capacity of between 148-184 lb.-ft. (200-250 Nm) and would be ideally suited for the US Fiat 500 Abarth's 170 lb.-ft (231Nm) torque rating. So far, there has been no mention of any future transmission options available for the Fiat 500 Abarth, but keep this info in mind. Not much has surfaced about these smaller DDC transmissions other than the story I did back in June 2010 and in a few postings mainly on Italian sites, however there was a brief announcement in Automotive News last summer saying that Fiat will begin building DDC transmissions in China in 2013. The manufacturing will occur at Hangzhou Haveco Automotive Transmission Co; a joint venture equally owned by Fiat, Guangzhou Auto and Hangzhou Advance Gearbox Group Co. Hangzhou Advance Gearbox Group Co is the largest gearbox manufacturer in China and produces transmissions for a wide variety of applications from light duty all the way to heavy marine transmissions for cruise ships. The plan is for these new sophisticated transmission types to replace the older, cheaper Dualogic automated manual gearboxes used wherever the NAFTA Fiat 500 isn't sold. The A and B segment are extremely price competitive and to make the DDC transmission a viable option, Fiat set a goal to have the DDCT achieve the same manufacturing cost as the Dualogic. The plant in China should help Fiat reach this goal. At this time, it is unknown which dual dry clutch transmissions will be built in China; the larger C635 TCT or the smaller units or a combination of both. We'll continue to keep tabs on this story as it goes a long. Fiat 500s on display along with new and vintage Ferraris and other Italian exotics, in a beautiful Palm Springs setting. Folks, car shows don't get any better than this. 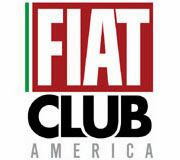 On Sunday, February 26, the Official Southern California chapter of the FIAT CLUB AMERICA and FIAT LANCIA UNLIMITED CLUB will be displaying cars at the spectacular Concours d’Elegance at the Westin Mission Hills Resort & Spa in Beautiful Rancho Mirage. A display area on the golf course, adjacent to the Concours d’Elegance exhibit, will be reserved for the FIAT Club America Socal Chapter. It is the perfect venue for the Fiat 500, a car you can drive to the market one day, and the next day, park alongside an exotic car and not look out of place. An annual celebration of beauty, art, design and engineering, this 2 day premier motorsports event culminates with the prestigious Concours d’Elegance. In addition to more than 250 classic cars, featuring the finest examples of automotive excellence, exhibit areas will include displays of other collectible items such as jewelry, watches and art. Visitors will enjoy fine food, beverages and music while viewing rarely seen automobiles, many from private collections and museums. In 2012, the setting for the Desert Classic Concours d’Elegance is the beautiful Westin Mission Hills Resort & Spa, in the heart of the Palm Springs valley, it is renowned for world-class hospitality. Often recognized by prominent publications as one of the top destination resorts in the world, the 45-acres of lushly landscaped grounds and warm, perennial sunshine makes it an ideal paradise. The Desert Classic Concours d'Elegance is a 501(c)(3), non-profit corporation. Net proceeds from the event will be donated each year to several charitable organizations in the Coachella Valley. Fiat has just released more information on the new Fiat 500L, making its debut at the 2012 Geneva Motor Show, March 8 - 18. 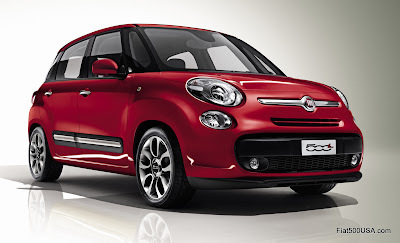 The Fiat 500L will be available in Europe at the end of the year and will make it to North America sometime in 2013. The Geneva Motor Show is the occasion for the world premiere of the Fiat 500L, the new extension of the 500 range that in the wake of the Abarth and Cabrio develops the brand's strategy that aims at expanding its offer by introducing a brand-new model able to satisfy different types of customers. With the 'L', the 500 grows in size to accommodate new experiences and needs once more. If the 500 is the super-compact car perfect for young people and the city, the Fiat 500L is the first car of the 500 family able to contain all of life's greatest emotions all together: children, friends, journeys. Every time great emotions become great experiences. 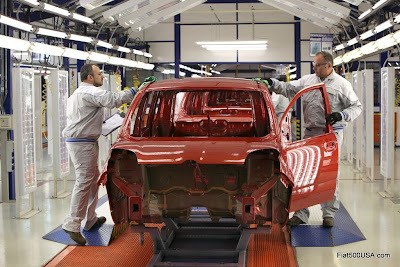 Produced at the Serbian plant in Kragujevac, the Fiat 500L will become available in Europe starting from the last quarter of 2012. 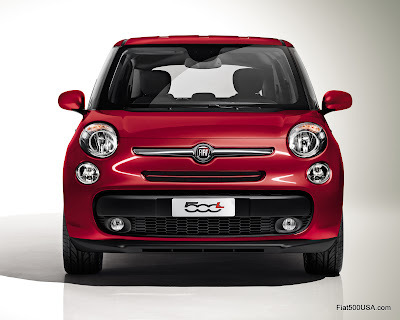 The 500L interprets and expresses the totally Fiat capability of conceiving and designing cars which are innovative in substance and in form. Substance turns into the modern equation of "space-efficient" that distinguishes all of the most innovative Fiats in history - from the 600 Multipla onwards. 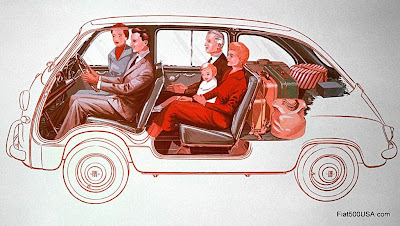 Just as the 600 Multipla was the forerunner of the concept of compact people carrier, the 500L is the new Fiat interpretation of the Simply More philosophy applied to the Multispace concept. The 500L reformulates the category of compact cars for the modern family in an emotional vein by developing some of the 500's winning emotional elements in unprecedented forms. It is a perfect match between solutions to make life simpler, with the generosity of a passenger room which is a benchmark for the category. 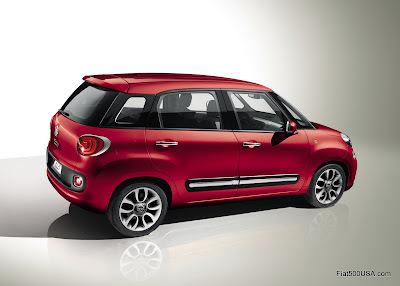 The Fiat 500L states all of the taste of a made in Italy product with a distinguishing, specific and lively look. The new model of the 500 range emerges from the conventional distinctions owing to its passenger space typical of an MPV, its presence on the road characteristic of a small SUV and its compactness and efficiency worthy of a B segment car. 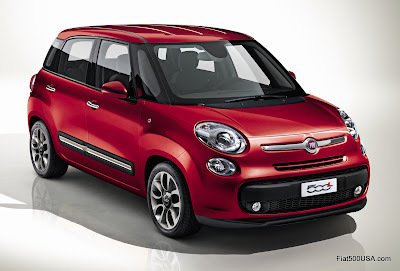 By following this novel recipe, the Fiat 500L puts together characteristics peculiar to different classes to offer a concept of distinctive and versatile first car that is an alternative to the traditional saloons of the B and C segments. 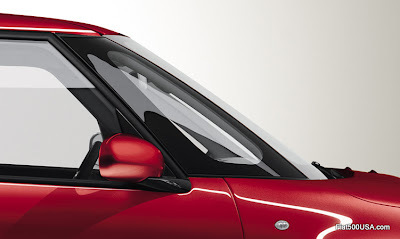 The 500L was designed by the Centro Stile Fiat which drew inspiration from the cab forward concept, the modern reinterpretation of a car concept designed to achieve better external visibility and a large amount of internal light. This is where 'seamless' glazing comes into being. It runs all around the car to improve the sense of command of the road and to make parking manoeuvres easier. The glass roof - the largest in its category - also floods the 500L passenger compartment with plenty of light. Bright inside, colourful outside. With more than 30 shades of colour, the 500L will offer the widest range of colours of the segment, combined with the specific colours of white, grey and black for the alloy wheels. 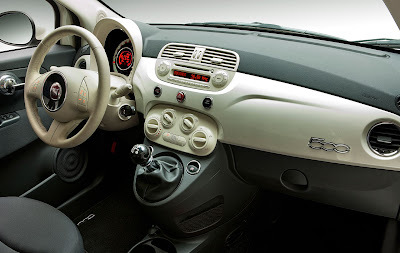 The interiors of the 500L are also distinguished in terms of variety and extent of solutions available to the customer. From the finish of the body-coloured dashboard that calls to mind the atmospheres and treatments typical of the 500 to the availability of soft-to-the-touch upholsteries with elegant finishes. To then arrive at tasteful styling details like the sophisticated design of the steering wheel, the crystal-clear lighting of the dashboard, and the practical and original shapes of the handbrake and gear lever. The level of comfort that the new 500L offers will be a benchmark owing to the roominess of its interior, the best in its category in relation to the external dimensions. The driver and passengers of a Fiat 500L will find many handy compartments on board that can hold all objects of everyday life: from remote controls and mobile phones to bottles of water and an umbrella. Driving pleasure and on-board comfort will be helped by the multifunctionality of the seats, which can be adjusted on every axis of movement using 8 different modes. The Fiat 500L will have a full range of accessories in perfect 500 style: customised graphics, chrome-plating and fragrance diffusers. And there are also ski roof bars and bicycle holder for the sportier at heart. The size package of the new Fiat 500L - 414 cm long, 178 cm wide and 166 cm high - makes it an ideal living space for sitting and looking out onto the world. Perhaps for a great journey, made comfortable by a boot with a capacity of almost 400 litres that is able to hold up to 5 suitcases or a full-size push chair. The 500L will offer outstanding performance matched with reference efficiency and fuel consumption levels. Standing out amongst the petrol engines is the new 0.9-litre TwinAir, the new generation of the multi-award-winning Fiat two-cylinder engine that set the world fuel consumption and emissions record thanks to its low displacement and inclusion of a high-efficiency turbocharger. The emissions level will set the record amongst petrol engines for the MPV category in this latest evolution as well. A 1.4 petrol engine and a MultiJet 1.3 diesel engine will also be available as of the launch date, in addition to the TwinAir. The 500L will represent the best of Fiat Air Technologies owing to its reduced fuel consumption and emissions and enhanced driving pleasure. Not just efficient engines, but advanced technologies as well. One of these is the innovative and multi-award-winning eco:Drive application. It provides customised driving advice for cutting fuel consumption and emissions, and for the first time will be available in the live version. This means that the 500L will offer a virtual personal trainer able to analyse your driving style in real time so you can improve it based on the actual parameters of use. Fiat's "human-friendly" technology is also the hallmark of the passenger compartment thanks to its state-of-the-art features. These include the unique characteristics of the new touchscreen interface, that for the first time integrates all of the key functions of the car (navigation system, infotainment, self-diagnosis) through an easy and intuitive user experience. The large touchscreen with built-in navigation system makes the hardware advanced for the category: 5 inches that make it a small tablet. The USB connections, Bluetooth and AUX-IN let you make calls hands-free, listen to received SMS messages and your favourite music through the most popular smartphones and MP3 players. Controls on the steering wheel and voice recognition make all of this possible, distraction-free. What's more, the 500L will integrate all of the most modern digital applications. The most popular apps on the car's touchscreen provide access to social networking sites, news channels and all web content, starting from Internet streaming radio so you can listen to your favourite digital channels. The dedicated software applications will also be particularly advanced. In addition to the previously mentioned eco:Drive Live, the 500L will also have the exclusive Fiat application called my:Car available. It will be able to diagnose, record and certify your car's history and state of maintenance at any time. Track ready. 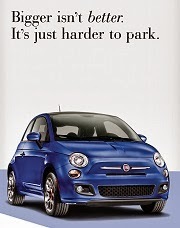 That is what the 2012 Fiat 500 Abarth is all about. 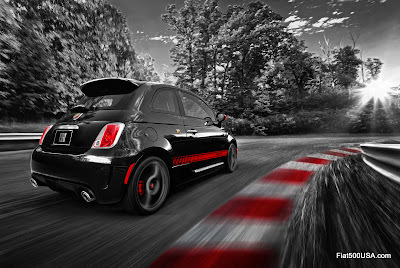 In Europe, the Fiat 500 Abarth is well known to all the race circuits. Small but wicked! 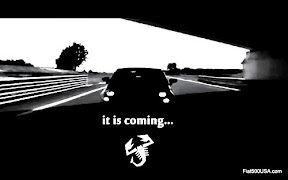 Here are a few videos to give you an idea of what is in store for you - and the competition - when you get your 500 Abarth! Fiat 500 Abarth on Nurburgring. Watch it take out a 200 HP Abarth, a Suburu, plus a bunch of other hot cars. This car is smoking! Track day with a new Fiat 500 Abarth. What could be better? How about knowing how to use all the capabilities of this performance car? 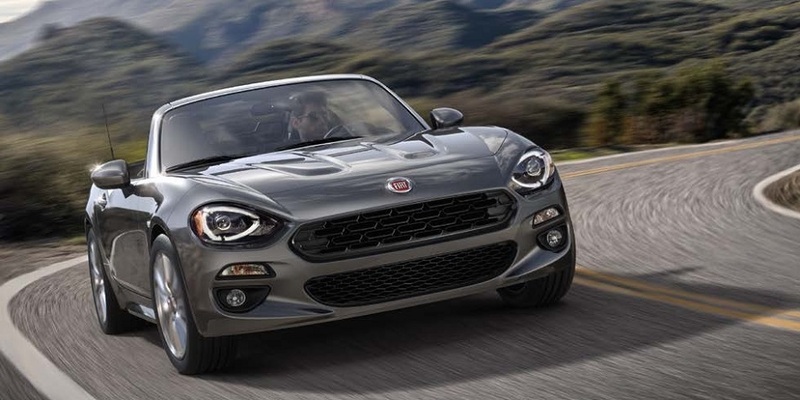 Fiat has you covered on that front, because included in the price of each 2012 Fiat 500 Abarth is professional driving instruction to get the most out of the 500 Abarth. That's right, Fiat will give new owners of a 500 Abarth the opportunity to attend the Richard Petty Driving Experience. That is an entire day of high performance driver training by professional instructors, in a safe and structured environment. Now, how cool is that! The Fiat 500 has done it again! In what by now can be considered an endless stream of awards, the Fiat 500 has just added another to its trophy case. This time it has been named “Best Car” in Travel + Leisure’s Annual Design Awards. The new Fiat 500 has accumulated more than 17 U.S. and 80 international awards since its debut, recognizing its design, engineering, driving dynamics and fuel efficiency. New 2012 Fiat 500 models deliver contemporary Italian styling, beautiful craftsmanship and city-friendly proportions combined with intelligent adaptations for American roads. February 15, 2012 , Auburn Hills, Mich. - Known for providing its readers with insight into the authentic, the innovative and the irresistible, Travel + Leisure named the new 2012 Fiat 500 “Best Car” in its eighth annual “Travel + Leisure Design Awards.” The 2012 Travel + Leisure Design Awards recognize new products, buildings and destinations that improve the travel experience through thoughtful design. “The Design Awards jury applauded the Fiat 500 for its effortless combination of compact practicality with a real sense of style, speed, and fun,” said Luke Barr, News Director of Travel + Leisure. The Fiat 500 will be featured in the March issue of Travel + Leisure – available on newsstands February 17 and is currently online at Travel+ Leisure Design Awards 2012. In addition, the Fiat 500 will be recognized at the Travel + Leisure Design Awards event on March 7 at Department in Berlin, Germany. Read more about some of the awards the Fiat 500 has won. One of the striking characteristics about the Fiat 500 is it's fun to drive. Ask any Fiat 500 owner and they'll comment on the lively acceleration and strong pulling power from surprisingly low rpm, making the car seem like it has a larger engine. MultiAir electo-hydraulic valve operation allows engineers to tailor valve openings to optimize drivability while at the same time maximizing fuel efficiency and reducing exhaust emissions. 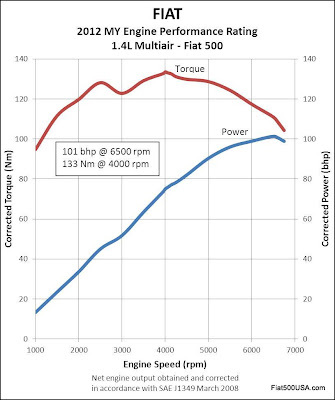 Fiat MultiAir allows the Fiat 500 engine to be tuned for good midrange torque, particularly at part throttle operation, increasing the fun to drive factor. That is why the car always feels 'punchy' and ready to go. You can read more about Fiat MultiAir here. 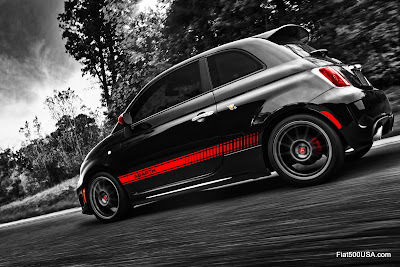 The Fiat 500 Abarth "Seduction" Super Bowl Ad scored the largest online traffic increase according to Edmunds.com. Edmunds measured the impact of each Super Bowl car ad on its auto site, and found traffic to the Fiat 500 page increases 138 percent. Fiat500USA.com also had a huge spike of 10,000 pageviews during that one hour alone. Site traffic here is up an average of 70% since the ad aired. The Fiat 500 Abarth ad kicks off the year on a high note. This year will be an exciting year for Fiat 500 fans with the launch of the Fiat 500 Abarth this spring, the unveiling of both the new Fiat 500L in Geneva next month and the Fiat 500 EV electic car towards the end of the year. 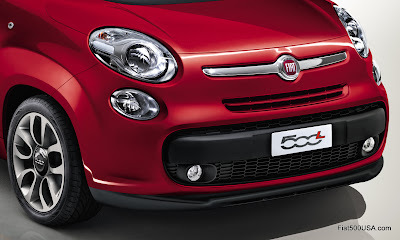 Fiat 500 sales figures are in for January, and they have once again beaten MINI Cooper sales. Last month, 1911 Fiat 500s were sold compared to 1710 MINI Cooper Hardtop and Convertibles sold. This is the fourth time Fiat beat MINI sales since last March, the first month the Fiat 500 went on sale. MINI figures are used because they are the closest competitor type and offer perspective to the sales figures posted. Fiat sold 25,191 cars during the 10 months it was on sale last year. Taken by itself, this figure would be considered a respectable showing for the niche car that had only half of its 130 dealers open during most of that time. 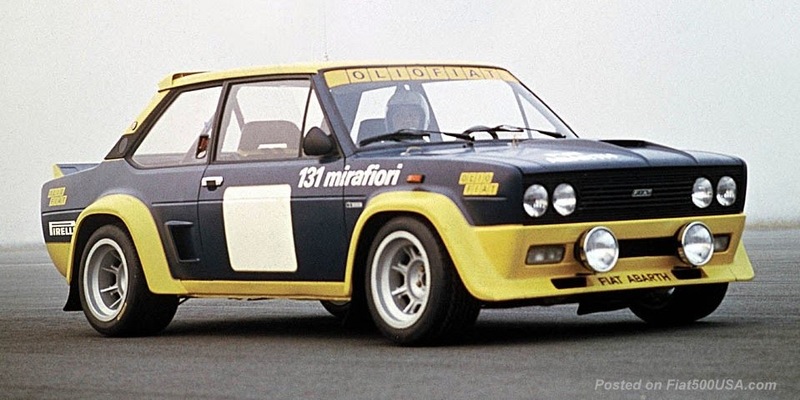 However, Fiat shot themselves in the foot with a prediction of selling 50,000 units during its first year. Where this figure came from will always be in question, but it put the 500 under the burden of not meeting its first year's sales forecast and has garnered the attention of those who look for a quick headline. Follow this link here to read more about Fiat sales. 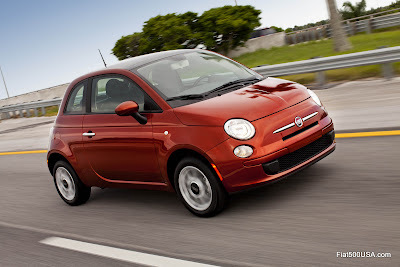 Below is a video where Sergio Marchionne, CEO of Fiat SpA gives some insight on Fiat 500 sales. 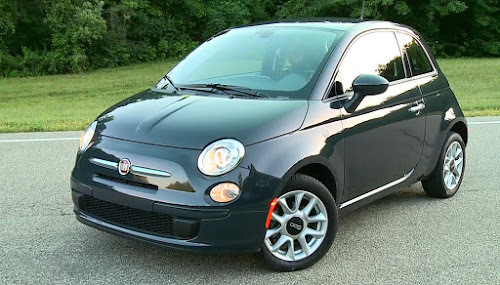 Fiat 500 sales forecast for 2012 is 25,000 - 35,000 cars, a much more realistic goal. Now with the dealer body fully up and running, a hugely successful Super Bowl ad, the launch of the new Fiat 500 Abarth coming this quarter and the Fiat 500 EV scheduled by year's end, 2012 promises to be an exciting year for the Fiat 500. Stick around! 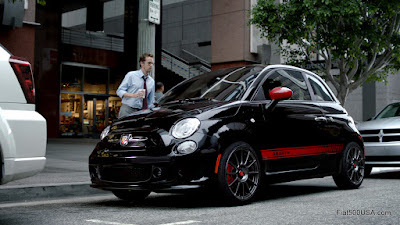 You've seen the 2012 Fiat 500 Abarth Super Bowl ad "Seduction", now here is your chance to win the car that caught the eye of more than 100 million viewers. 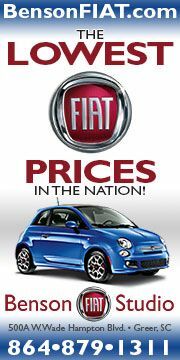 Fiat USA has a contest on Facebook running now until March 4, giving away 3 brand new 2012 Fiat 500 Abarths! 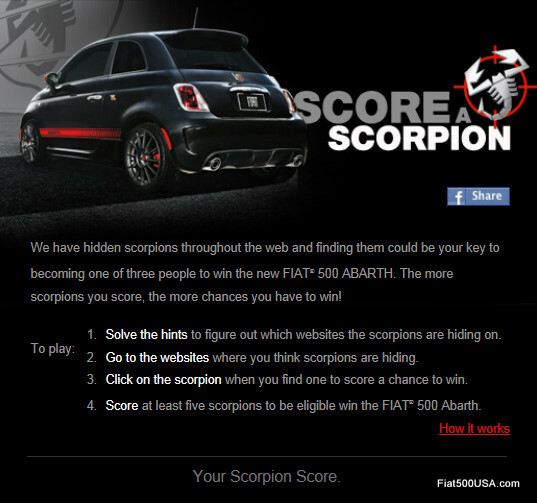 The giveaway is called "Score a Scorpion", and is a fun contest where you follow clues to collect 'Scorpions" over the internet for your chance to win a new Fiat 500 Abarth, plus other cool prizes. Don't miss your chance to win! Follow the link here to join the fun! Fiat is running a TV ad in Italy that highlights the best traditions and values of Italian society and heritage. Along the lines of the award winning Chrysler "Made in Detroit" ad that debuted last year during the Superbowl, the Italian Fiat ad is a rallying cry to Italians to embrace who they are and remind the world what Italy is capable of. For the launch of the new Panda, Fiat Automobiles chose a highly emotive 90 second spot which departs from the use of traditional advertising language in favor of a message that portrays Fiat's approach to the future and describes the Italy we like, an Italy driven by talent, passion, creativity and the desire to do things well. Airing on Italian TV from January 22nd and on the web (including www.fiatpanda.it and www.fiat.it) from January 23rd, the spot is an event in its own right as it presents the product by talking about the people and values behind it. The choice to deliver a message that is full of symbolism is an important one. In the spot, the Fiat family is seen leading the way in a new era of growth and development in Italy and all Italians are called on to participate, with the same commitment and determination. The spot is a response to the question: “What kind of Italy do we want to be?” Of course, there are many Italys in the collective imagination: a nation of art, invention and creative talent not to mention great industrial and technological enterprise. 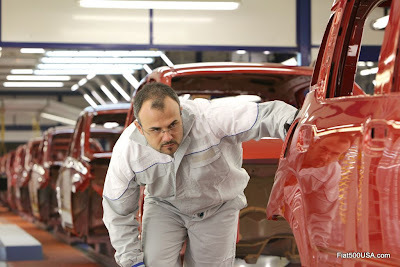 To dispel the quaint image of Italy and the negative stereotypes that are still often portrayed today, the spot shows powerful images of workers at the Pomigliano d’Arco plant where the new Fiat Panda is made. These workers are symbolic of the Italy that never gives up, even in the most difficult moments, but rather has the will to take its future into its own hands with unquestionable dedication. 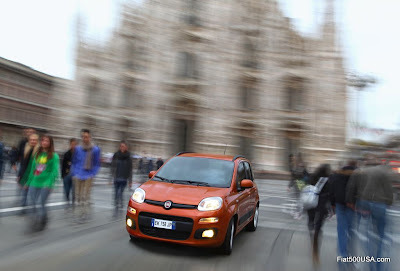 They are proud and determined men and women who every day devote talent, passion and creativity and above all desire into making a product of the highest quality: the new Fiat Panda. The images are accompanied by a narration that makes no reference to the product, brand or even to cars. The words draw viewers in and then capture their attention with Fiat's response to the initial question about the kind of Italy we want: “The things we make, make us”. Because what we do and the way we do it say everything about who we are, our vision of the world, and the type of people we want to be. That notion is further strengthened by the key message of the entire campaign – “This is the Italy we like” – which expresses appreciation for a nation that works and overcomes challenges, that doesn’t give up, but rather strives to do, to make, to achieve. Fiat is the well-established leader in the city car segment in Europe with a unique know-how developed in European markets over the years: from the first 600 to the 500, from the 126 to the first Panda, from the Cinquecento to the Seicento, from the second generation Panda (2003) to the new 500 launched in 2007. Today, that legacy is embodied in the new Panda, the logical evolution of a car that in its 31 years has always been synonymous with Italian style and ingenuity, bursting with a rational yet emotional appeal that has won over more than 16 million drivers of different tastes, ages, nationalities and backgrounds. An established icon of Italian design and know-how, the objective of the new Panda was to confirm Fiat's undisputed leadership in the city car segment. To achieve that, Fiat Group Automobiles focused on attaining the highest levels of quality throughout the development and production process. 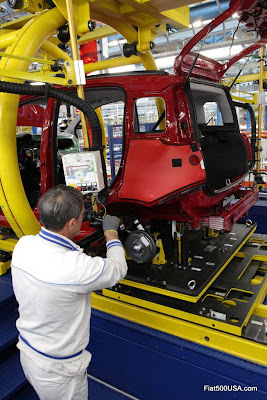 Naturally, such a project could not be implemented at a plant that wasn't equally advanced and adapted to the needs of the new Panda and that is why the new model is being made at the Pomigliano d’Arco plant near Naples. 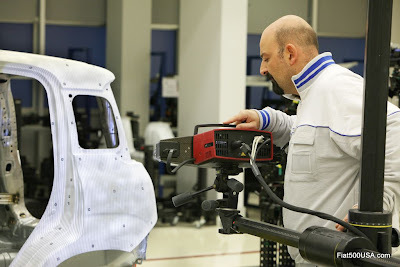 The plant has been completely retooled and upgraded with new bodywelding and assembly technologies, as well as a brand new Quality Center, making it not only the most advanced Fiat facility, but also among the most advanced in the world. The new campaign – which encompasses TV, press, billboards and web – was conceived and developed by the advertising agency Kube Libre, under the creative direction of Luciano Nardi. Shot in and around Naples, the TV spot was directed by Luca Maroni and produced by Movie Magic. The people appearing in the spot are actual workers at the plant who participated in the production with a great deal of enthusiasm. Finally, the images and narration are accompanied by a soundtrack composed by Flavio Ibba. 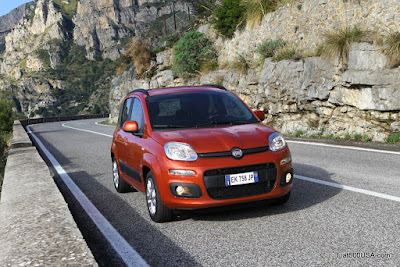 Following is the text of the spot for the new Fiat Panda. 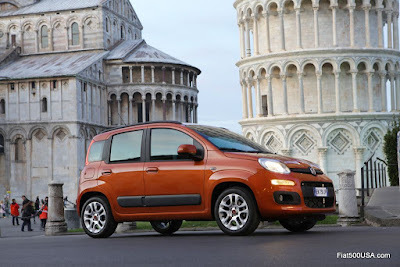 “New Fiat Panda. This is the Italy we like. How many types of Italy are there? A nation of great invention? A nation of creative talent? A nation of quaint images? A nation of youth in search of a better future? Or a nation capable of great industrial and technological enterprise? We can choose which Italy to be. or to be what others think we are. The high performance Fiat 500 Abarth is about to hit the streets shortly. With nearly 60 percent more HP and 70 percent more torque than the regular Fiat 500, the Fiat 500 Abarth is becoming one of the 'big' performance car stories of 2012. Matt Davis, Head of Product Marketing for Fiat USA, gives a tour of just some of the features that will make the Fiat 500 Abarth so sought after.